Sweet and fresh carrots are one of the best vegetables to enjoy during summer. 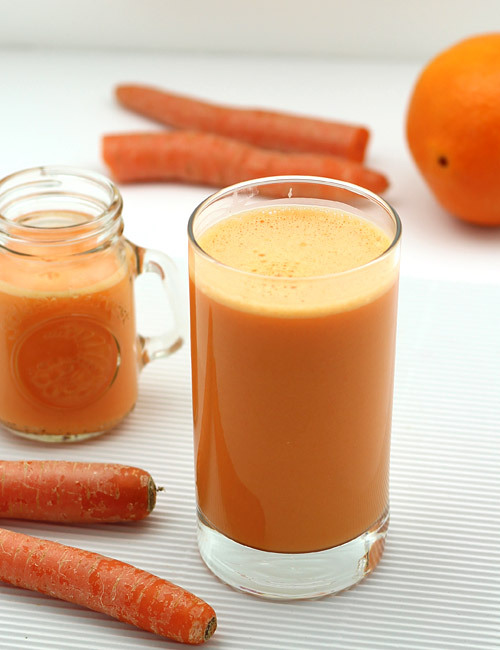 Fresh carrots and freshly squeezed orange juice’s medley with yogurt in scrumptious carrot smoothie is unique and outstanding. 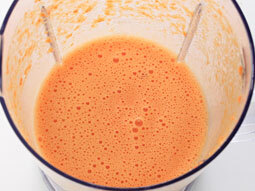 It has right balance of sweetness of carrots and tanginess of orange juice. 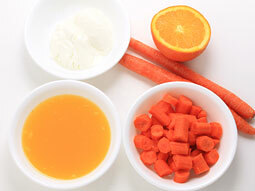 Peel and dice carrots and squeeze out the orange juice. 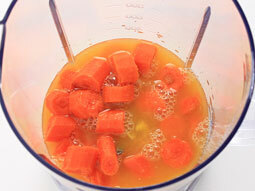 Add diced carrot and orange juice in a blender jar. 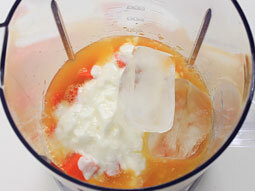 Add plain yogurt and ice cubes. Blend until smooth puree. Check consistency and thickness of the drink. 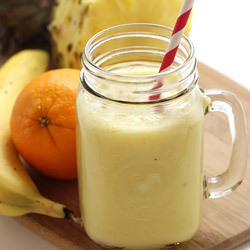 If you feel that it’s too thick, then add some more orange juice and blend again. Pour it into serving glass and serve. Serving Ideas: It is a treat to taste buds at anytime. However, it is more enjoyable when served in a hot afternoon during summer or while sitting on patio for relaxed evening. Thank you for the recipe for the beet and carrot drink, mine by following your directions came out perfect.